But it’s a cool one. 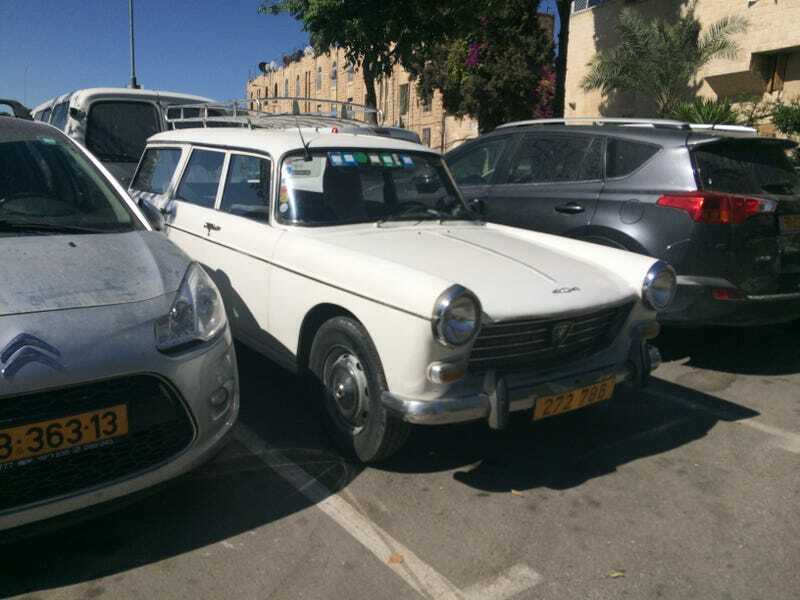 In a city where every car looks like it participated in a demolition derby (seriously, Jerusalem cars make NYC streets look like a damn concours) this delightful old Peugeot 404 wagon is still in shockingly good shape. Only one picture because my guide yelled at me when I split off from the group to take it.